Joe Bendel saw WILD last year at Sundance. I am reposting his review which originally ran at JB Spins to tie into this years KINO series in New York. I have seen the film and I think that this is one of the must sees at KINO this year, however having seen the film twice I still can't put adequate words together to do the film justice. Wolves are solitary creatures, but they mate for life. Perhaps that is why Ania is attracted to them. By ‘attracted,” we mean in the most provocative way possible. The call of the wild is strangely seductive to her in Nicolette Krebitz’s Wild (trailer here), which screened during the 2016 Sundance Film Festival. Ania is a mousy office drone, but her blowhard boss can see just enough of the swan beneath her ugly duckling exterior to skirt the boundary of sexual harassment. Yet, Ania hardly seems to notice. She just plugs away, maintaining her emotional distance from everyone around her. One night, she locks eyes with a wolf on the edge of the woods surrounding her drab apartment building. Strangely, it is her first real connection that we know of. Soon she is leaving meat for it, hoping to win its trust. After an aborted attempt, she successfully entraps and smuggles him into an abandoned flat in her complex. Initially, the wolf is generally not receptive to her plans. He is rather loud, hostile, and smelly, demonstrating several reasons why exotic pets are such a terrible idea. However, as their “courtship” progresses, Ania and the wolf come to an understanding. Yes, it will have a physical component. Yet, she is not just drawn to the wolf. She also finds his “lifestyle” enticing. It is important viewers do not confuse the various films simply titled Wild. One features a beautiful actress doing awards caliber work and the other is a light-weight Reese Witherspoon vehicle. Fortunately, this is the former (though technically it is the later production). It also seems to bear comparison to Roar, the notorious Tippi Hedren film, in which the cast was regularly mauled by poorly trained lions. Human-wolf proximity is downright intimate here as well. It all gets rather alarming for safety reasons, rather than prurient concerns. However, wolf trainers Zoltan Horkai and peter Ivanyi deserve credit for the masterful control, as does lead actress Lilith Stangenberg for her nerves of steel. Frankly, it is a bit of a surprise Stangenberg did not walk away with this year’s performance award. This is one of the darnedest empowerment arcs you will ever see, but she makes every animalistic step believable. Krebitz’s aesthetic is pretty severe and she lets the film get a slow start out of the blocks, but somehow she manages to take the potentially lurid material and make it feel dignified and cerebral. 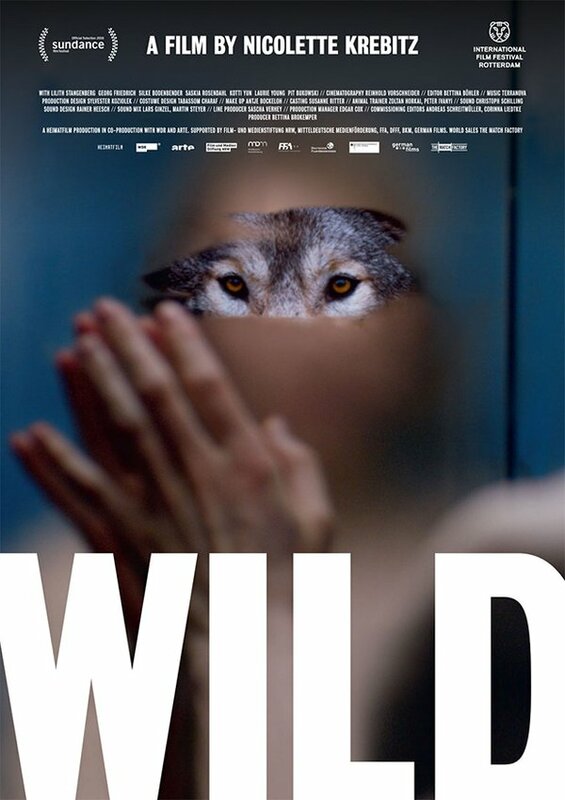 Too bad Sundance does not have an animal handling award, because Wild would have won in a landslide (the same would have been true for White God last year). If you want to see a film about human-lupine relations and not feel guilty or embarrassed about it afterward than this is the one you have been waiting for. It is also worth seeing for the rest of us, thanks to Stangenberg’s fearless (in several ways) breakout performance, so expect to see it programmed aggressively, following its premiere at this year’s Sundance Film Festival.